From a secular perspective, Islamic studies is a field of academic research whose subject is Islam as religion and civilization. From a traditional Islamic perspective, Islamic studies is an umbrella term for religious sciences ('Ulum al-din) pursued by the ulama. 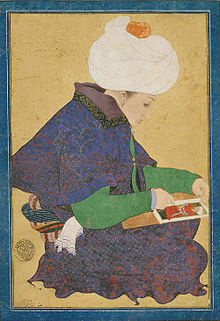 In a Muslim context, Islamic studies is the umbrella term for the Islamic sciences ('Ulum al-din). It includes all the traditional forms of religious thought, such as kalam (Islamic theology) and fiqh (Islamic jurisprudence), but also incorporates fields generally considered secular in the West, such as Islamic science and Islamic economics. Scholars in the field of academic Islamic studies are often referred to as "Islamicists" and the discipline traditionally made up the bulk of what used to be called Oriental studies. In fact, some of the more traditional Western universities still confer degrees in Arabic and Islamic studies under the primary title of "Oriental studies". This is the case, for example, at the University of Oxford, where Classical Arabic and Islamic studies have been taught since as early as the 16th century, originally as a sub-division of Divinity. This latter context gave early academic Islamic studies its Biblical studies character and was also a consequence of the fact that throughout early-Modern Western Europe the discipline was developed by churchmen whose primary aim had actually been to refute the tenets of Islam. Despite their now generally secular, academic approach, many non-Muslim Islamic studies scholars have written works which are widely read by Muslims, while in recent decades an increasing number of Muslim-born scholars have trained and taught as academic Islamicists in Western universities. Many leading universities in Europe and the US offer academic degrees at both undergraduate and postgraduate level in Islamic studies, in which students can also study Arabic and therefore begin to read Islamic texts in the original language. Because Arabic and Islamic studies are generally seen as inseparable in academia, named undergraduate degrees that combine the two are usually still categorized as single-subject degrees rather than as 'joint' or 'combined' degrees like, for example, those in Arabic and Politics. This rationale explains why, because of their heavy emphasis on the detailed study of Islamic texts in Classical Arabic, some institutions – such as the School of Oriental and African Studies (SOAS) in London and Georgetown University in Washington DC – only accept graduates who already have degree-level Arabic and a strong background in the academic study of Islam onto their Masters programmes in Islamic studies. Such institutions will generally direct students new to the field and with little or no Arabic to broader master's degrees in Middle Eastern studies or Middle East politics, in which Arabic can be studied ab initio. A recent HEFCE report emphasises the increasing, strategic importance for Western governments since 9/11 of Islamic studies in higher education and also provides an international overview of the state of the field. 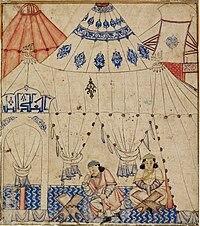 Islamic studies is often argued by Muslims, to begin with, the founding of the Islamic religion by Abraham, continue throughout the history of Judaism with Islamic Prophets such as David and Solomon, then early Christianity with Jesus in particular, and then up to modern times with the final revelation of God as revealed to the Prophet Muhammad. The first attempt to understand Islam as a topic of modern scholarship (as opposed to a Christological heresy) was within the context of 19th-century Christian European Oriental studies. In the years 1821 to 1850, the Royal Asiatic Society in England, the Société Asiatique in France, the Deutsche Morgenländische Gesellschaft in Germany, and the American Oriental Society in the United States were founded. In the 2nd half of the 19th century, philological and historical approaches were predominant. Leading in the field were German researchers like Theodore Nöldeke 's study on the history of the Quran, or Ignaz Goldziher 's work on the prophetic tradition. Western orientalists and Muslim scholars alike preferred to interpret the history of Islam in a conservative way. They did not question the traditional account of the early time of Islam, of Muhammad and how the Quran was written. In the 1970s, the Revisionist School of Islamic Studies questioned the uncritical adherence to traditional Islamic sources and started to develop a new picture of the earliest times of Islam by applying the historical-critical method. An interesting field of study is how Islam reacts on the contact with Western modernity, and how Islam can catch up with modernity without betraying itself. These studies comprise Islamic history, Islamic theology, Islamic Mysticism, and Islamic philosophy, as well as the study of Western philosophy, sociology and politology. ^ Clinton Bennett (2012). The Bloomsbury Companion to Islamic Studies. Bloomsbury Academic. p. 2. ISBN 978-1441127884. ^ Robert Irwin (25 January 2007). For Lust of Knowing: the Orientalists and their Enemies (1st ed.). Penguin. ISBN 978-0140289237. ^ Zayed, Tareq M. "Knowledge of Shariah and Knowledge to Manage 'Self' and 'System': Integration of Islamic Epistemology with the Knowledge and Education". Academia.edu. Retrieved 29 May 2018. ^ "Sree Sankaracharya University of Sanskrit". Ssus.ac.in. Retrieved 29 May 2018. Azim Nanji, ed. (1997). Mapping Islamic Studies: Genealogy, Continuity and Change. Walter de Gruyter. ISBN 978-3-11-081168-1. This page was last edited on 11 February 2019, at 16:57 (UTC).